When actress Elyse McKenna fell in love with Lord John Waldegrave, she was prepared to keep their liaison secret. What she wasn't ready for was how her newfound love would rock her relationship with her dearest friend, Doctor Kai Murray. With the 1814 London Frost Fair in full swing, Elyse and her troupe at the Ice House Theatre find themselves at the heart of the excitement on the frozen Thames. 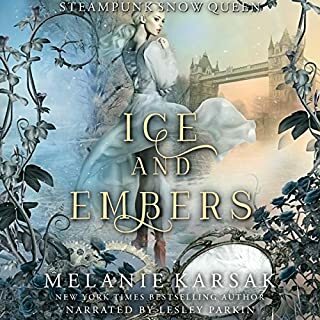 But when an exotic ship captain, whose vessel is trapped in the ice, turns her attention to Kai, everything Elyse thought she knew about her feelings for her old friend gets flipped upside down. 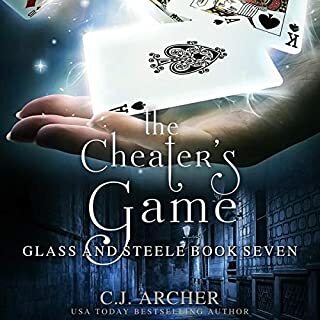 To save the Hatter, Alice must work with the one man she despises so much that she might still love him. Alice thought she'd turned over a new leaf. No more working for Jabberwocky. No more making deals with the ruthless Queen of Hearts. No more hanging around The Mushroom with tinkers, tarts, scoundrels, and thieves in London's criminal underbelly. But she'd been bonkers to dream. When Isabelle Hawking and her papa set out from London on a sea voyage, Isabelle is thrilled. Visiting foreign courts, learning from master tinkerers, and studying mechanicals is her dream. But Isabelle never arrives. Swept up in a tempest, her ship is lost. Isabelle survives the storm only to be shipwrecked on a seemingly deserted island. The magical place, dotted with standing stones, faerie mounds, and a crumbling castle, hints of an ancient past. 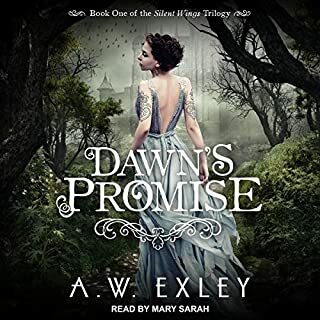 Isabelle may be an unwilling guest, but her arrival marks a new beginning for the beastly residents of this forgotten land. It all begins on one of the worst days of Lily's life. She just lost the London leg of the 1823 Airship Grand Prix. 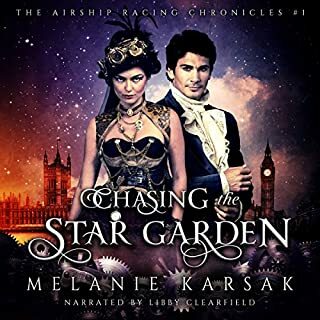 To top it off, a harlequin fleeing from constables shoved a kaleidoscope down her pants, told her to fly to Venice, then threw himself from her airship tower. What's a girl to do? For Lily, the answer is easy: Drink absinthe and smoke opium. Buttercream. Vanilla. Fondant. Dark chocolate. Brown sugar. Molasses. Baking has always been my true love, but it wasn't until my mother's death, and the unexpected inheritance of Serendipity Gardens, that my bliss called me. Bittersweet. But Serendipity Gardens has more to offer than just a potential shopfront. An unusual recipe box left to me by a distant relative might be the key to unlocking my dreams. Too bad the most powerful family in Chancellor has plans that could turn those dreams to ruins - literally. 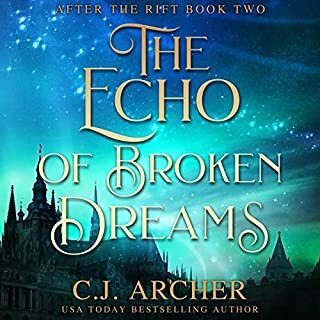 On the shores of Lake Erie sits the enchanted little town of Chancellor where fairy tales live, dreams come true, and happily ever afters always reign supreme. In this three book boxed set, you'll find a heart-warming collection of sweet romance fractured fairy tales. From mermaids to witches to faeries, the residents of Chancellor are far from ordinary. 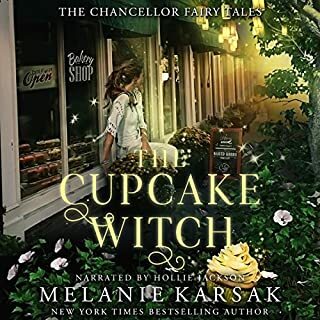 Enjoy these twisted fairy tales loosely based on The Little Mermaid, Cinderella, and classic witch tales. Scotland, 1032. Everything Gruoch loves has turned to ash. 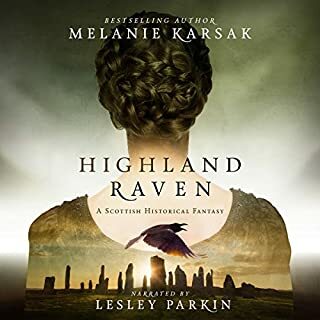 With Gillacoemgain gone, Gruoch rides north with her newborn son and a broken heart. 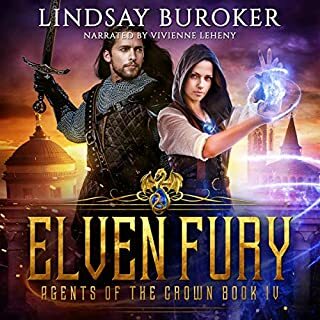 While she desperately clings to hope, Gruoch's new alliance with Macbeth proves more challenging than she ever anticipated. 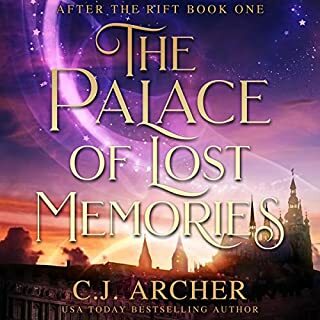 Only her unexpected reunion with an important person from her past offers solace. All may yet be well, but the raven's wary eyes cannot help but notice clouds gathering on the horizon. Scotland, 1032. 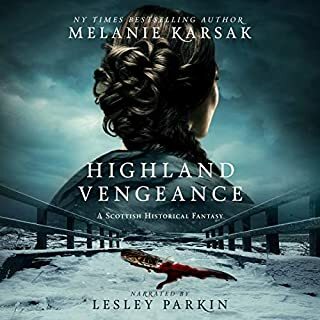 When a marriage contract calls Gruoch away from Ynes Verleath, she leaves with the hope she'll be reunited with Banquo. But fate has different plans. Lies, betrayal, and violence await her. 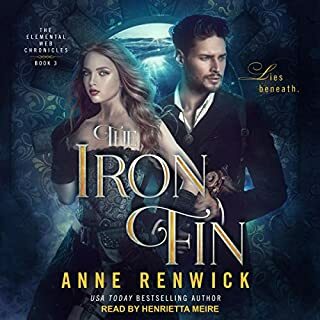 Set on a collision course with destiny, Gruoch soon finds herself thrust into the arms of another man. Rapunzel has spent her entire life living in Merlin's cave on the coast of Cornwall. Under the protection of her faerie guardian, Gothel, she's stayed safe. Safe and bored. 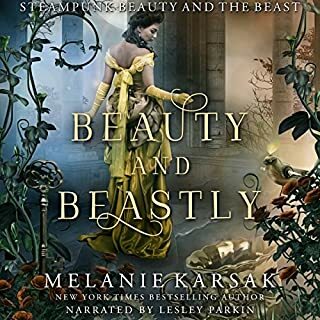 Dreaming of a life that looks more like a Jane Austen novel, Rapunzel fears she'll never have the chance to explore Victorian England's modern delights. Or meet a man. Or be kissed. Or anything else remotely resembling normal. 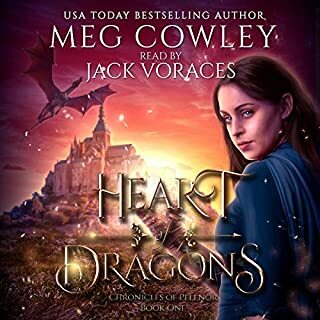 When Red Cape Society Agent Ewan Goodwin's monster-stalking device leads him to Rapunzel - and her unusual pets - the pair's destinies entwine. Together, they must solve a mystery tied to the very roots of King Arthur's Britannia. 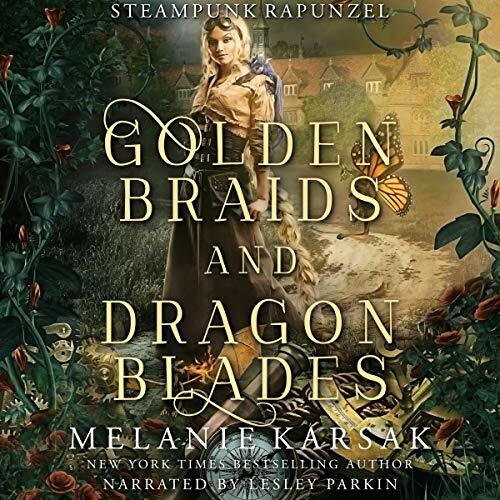 Golden Braids and Dragon Blades is a retelling of the classic Rapunzel fairy tale set in New York Times best-selling author Melanie Karsak's steampunk universe. 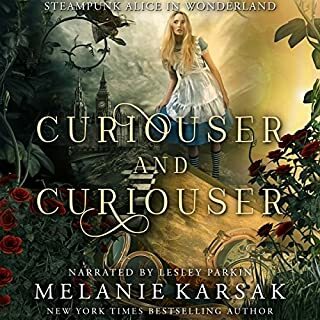 Journey to gaslamp London during the 19th century to see how Melanie puts a steampunk spin on this reimagined fairytale. 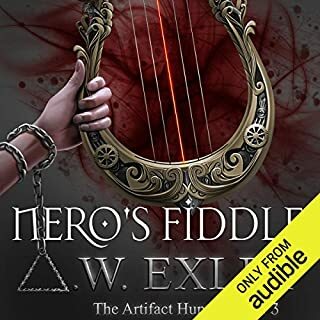 Definitely a YA book, but delightful all the same. Near the beginning, one rather hilarious shout-out to "Tangled" and then it remains it's own story. 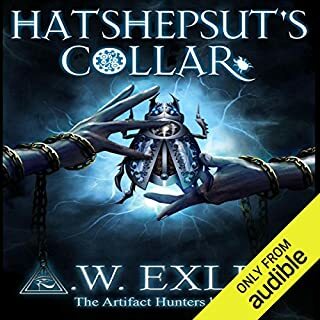 Well-written, good world-building and only one complaint about the ongoing use of the modern word, "okay" from a story that takes place in Victorian England. The reader is good and does a variety of accents and male/female voices. Another great twist on a classic tale! 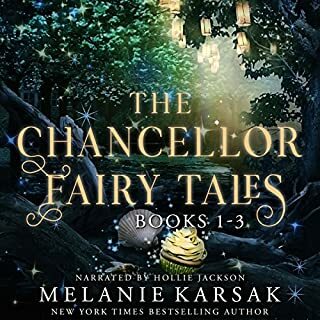 I'm really enjoying listening to these twists on classic fairy tales! Well done Melanie and another great performance by Lesley! She has the ability to bring Melanie's characters to life and has a very easy voice to listen to. Characters are easy to tell apart and the sound is smooth...none of those annoying clicks and mouth noises that you hear in other books! 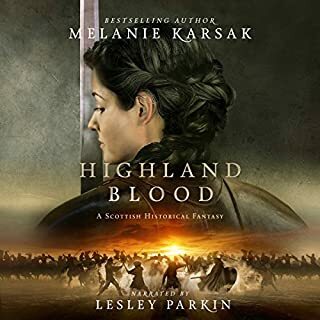 For those Melanie and Lesley fans out there....check out the Celtic Blood Series. It's wonderful!